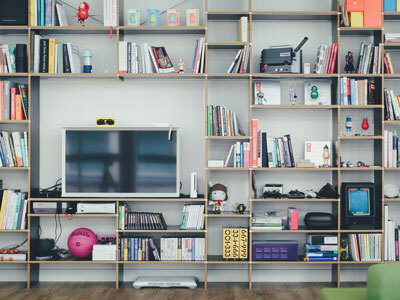 If you’ve watched even one episode of Tidying Up with Marie Kondo, you may already feel inspired to get a head start on your spring cleaning by decluttering, redesigning, and cleaning your space. When You Need a Push to Throw Out Some Old Clutter…. 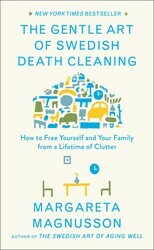 Check out THE GENTLE ART OF SWEDISH DEATH CLEANING by Margareta Magnusson, THE MODERN ORGANIC HOME by Natalie Wise, and SIMPLY CLEAN by Becky Rapinchuk. These books are the inspiration you need to finally do away with some of the clutter that’s been collecting in your home or apartment. 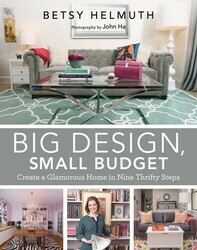 These books help you to reassess what you actually use, need, and are attached to in your space. By the time you’ve finished these reads, you’ll be ready to take out a trash bag and donate all of those old T-shirts you never wear that have been collecting dust in the back of your closet. To Inspire Your Inner Home Designer…. Flip through BIG DESIGN, SMALL BUDGET by Betsy Helmuth and THE CUSTOM ART COLLECTION- ART FOR THE TRADITIONAL HOME by Jamin and Ashley Mills. Now that you’re home is decluttered, you might feel the urge to begin redesigning your space. You can release your inner Chip and Joanna Gaines by finding different tips and ideas to redecorate in an affordable matter with these fun books. 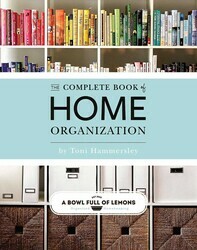 For Finding the Perfect Organization System…. 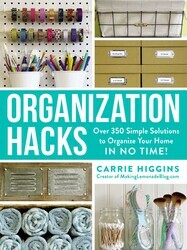 Read THE COMPLETE BOOK OF HOME ORGANIZATION by Toni Hammersley and ORGANIZATION HACKS by Carrie Higgins to keep your home decluttered and neat! 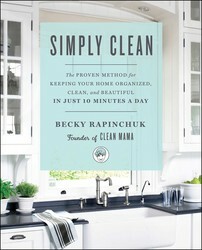 These reads will help you find organization hacks that work best with your home, personality, and lifestyle for a tidy environment you can actually sustain. Photo by Siniz Kim on Unsplash. Home is a haven, a place of refuge. But did you know it might be making you sick? If your home is cluttered, overwhelming, and full of chemicals, it’s time to detox. 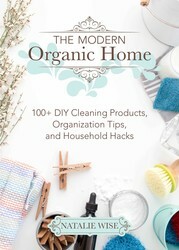 The Modern Organic Home helps you de-clutter and clean with natural, homemade products that are healthy for you and your family. You’ll find information on why you should start going organic now and the best organic cleaning products and supplies, where to find them, and how to make them. Start with the basics and work your way into every corner of your home . . . from tile grout to shower mold, how to clean lampshades to how to clean water bottles. There are recipes for cleaning nearly every surface in your home from the carpet to stuffed animals. If you have questions about keeping an organic home, The Modern Organic Home has answers. Not only will you find your home cleaner and fresher than ever, it will be inviting, welcoming, and an altogether modern organic home. Now is the time to get started. 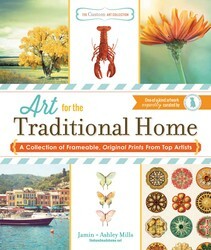 Stop spending a fortune trying to recreate expensive home designs and start filling your walls with the beautiful prints in Art for the Traditional Home. Curated by Jamin and Ashley Mills, the talented designers behind The Handmade Home, this book showcases original artwork from up-and-coming artists and pairs the prints with others in the collection to help you create your own personal home design style. From nautical artwork to Tuscan landscapes, each piece costs less than a dollar and will fit in a standard frame once torn out of the book. Filled with 40 affordable, one-of-a-kind art prints, you will never again have to worry about budget when personalizing your home.